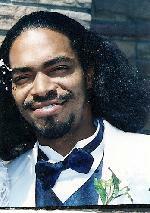 On May 21, 2008, at 11:00 pm Chad McElwee was shot several times while sitting in his truck in the area of Cass and Sycamore Street SE, Grand Rapids, Kent County, MI. Chad was taken to a local hospital were he was pronounced dead on arrival. Police believe Chad was killed by bullets meant for his unidentified passenger. No arrests have been made related to Chad’s murder. Posted on Friday, January 8th, 2010 at 6:45 pm. Last updated on Wednesday, March 9th, 2011 at 3:32 pm.